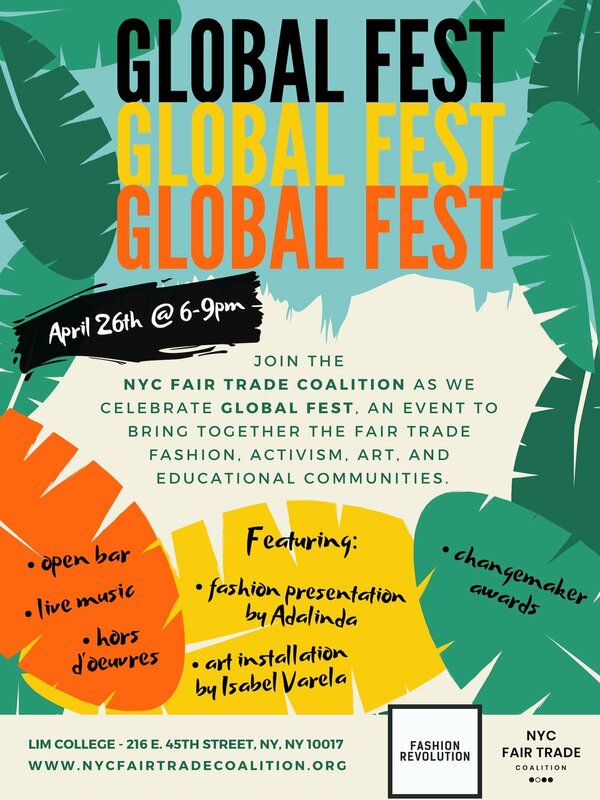 This cocktail reception will bring together the fair trade fashion, activism, art, and educational communities. With the help of our wonderful community and partners, we'll have live music, fashion presentations, light hors d'oeuvres, open bar (with signature fair trade cocktail), awards, and much much more. Don't miss out on this culminating event to Fashion Revolution Week! * All tickets include a 1-year fair trade advocate membership to the NYC Fair Trade Coalition.